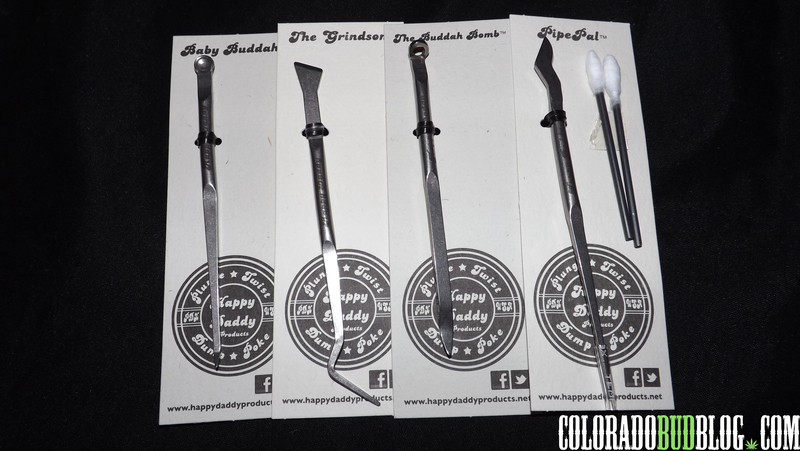 Today, I will be reviewing a dab tool, the Baby Buddah. 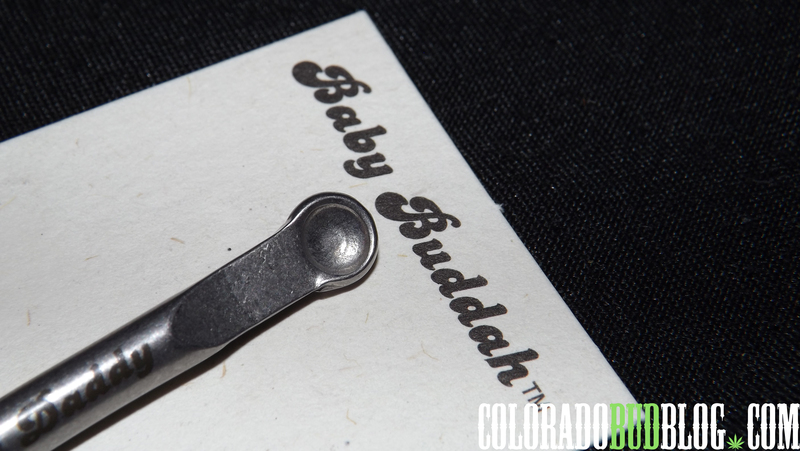 The Baby Buddah is a dab tool featuring a sharp point at a 45 degree angle on one end, and a small measuring spoon shaped scoop on the other. Sharp point at a 45 degree angle. Small measuring spoon shaped scoop. 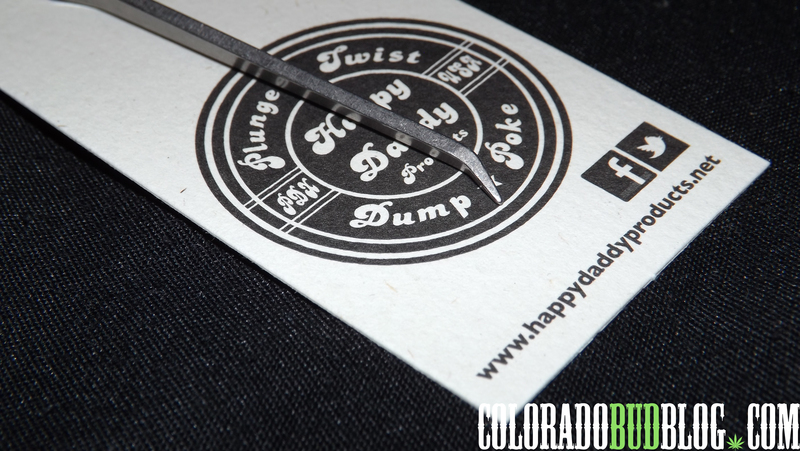 The sharp pointed end is great for dealing with shatter! I’ll hold my shatter down with some unbleached parchment paper, and stab the sharp end into it. Then, I pull on the shatter and snap a piece off. 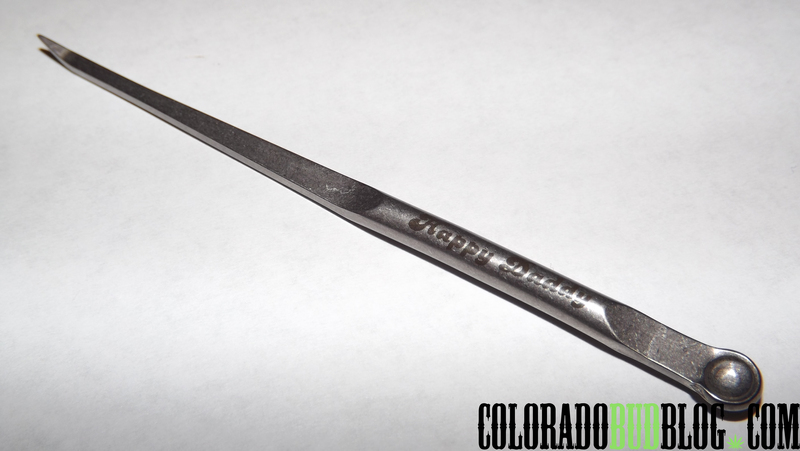 The pointed end and the 45 degree angle make this one of the perfect tools for snapping a piece off for a hit. The 45 degree angle also makes it very easy to get your hit in to your nail. The scooped end isn’t as impressive: the scoop is just too small! I mean, I know it’s called the Baby Buddah but I feel like the scoop end is just too small. It does work though, you just have to be a little more careful about scooping up big dabs with it. 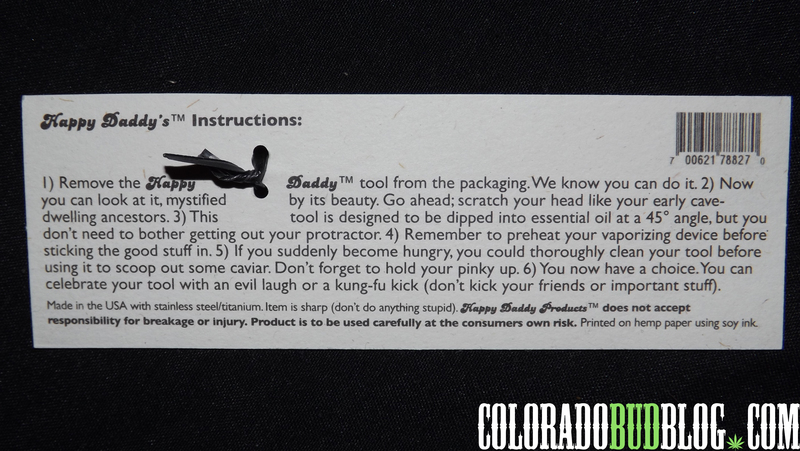 The back of the package has some pretty humorous instructions, but the coolest part of the packaging is the fact that it is printed on hemp paper using soy ink, which is a nice breath of fresh air in our current world of over-packaging everything with wasteful plastic! In the end, I really like the Baby Buddah! 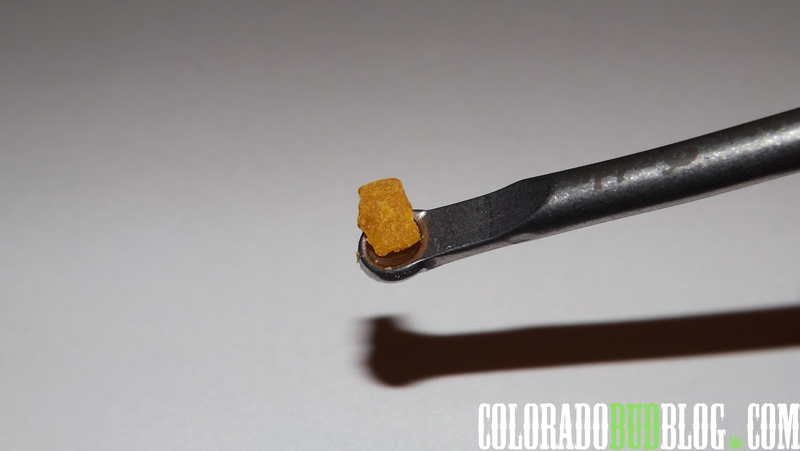 The pointed end is perfect for dealing with shatter, while the scooped end provides support for your more crumbly or flakey textured concentrates. The tool is very small, and I have big hands so it makes it kind of difficult to handle sometimes, but it isn’t a big deal. 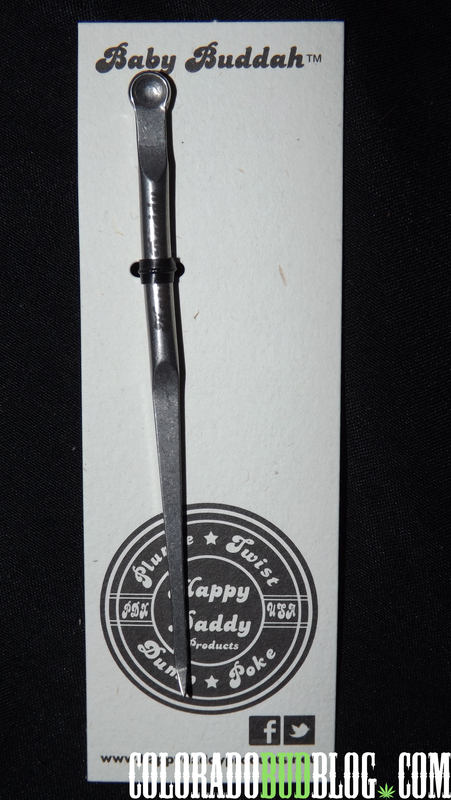 I am very happy with this tool, and I will definitely be picking up more products from Happy Daddy real soon! Make sure to keep your eyes open for more reviews from Happy Daddy Products, and check out their entire selection of products at http://www.happydaddyproducts.net!